I am more excited than ever to partner with CoreLife Eatery. It is amazing that there is a restaurant out there that has a mission that meshes perfectly with mine as founder of Kelly’s Choice: “We are real people who promote eating real food.” What do I mean by real? I mean pure, wholesome, unadulterated food. I mean getting the junk and packaged food out of your diet. Junk food makes you feel junky. Whole food gives you an abundance of energy. It makes you feel vibrant and gives you the stamina you need to conquer any challenge that meets you in life. Whole food can heal you and I know this first hand through many of the clients I have worked with. Take Michelle Barber, Assistant Vice President of Five Star Bank, for example. When she came to me in May of 2014, she weighed 250 pounds and had just been diagnosed with Type 2 Diabetes. I worked with her to drastically reduce the processed food out of her diet and turn to lean meats, nuts, seeds, legumes, lots of vegetables, fruits, and whole grains. After a year of working with me, she lost 50 pounds and REVERSED her diabetes. When Michelle came to me her fasting blood-glucose level was 205; now it is 120 and at times even 110. Take Eric, for example. He is a busy executive, weekend warrior, and a dedicated husband and father. He came to me seeking to lose a few pounds and hoping to increase his energy. He barely had the energy to play with his kids; he was bonking in his triathlons and marathons; he didn’t feel sharp on the job. We slowly, carefully exchanged his favorite processed foods for whole food alternatives and wow, has he changed! He is infectiously spirited and as a result, his kids have trouble keeping up with him; he is finishing at the top of his age group in races, and he was recently promoted at his job. Are you in need of some healing or increased energy? Replace any sugary drinks (soda, juice—yes even juice, sports drinks, sweetened iced tea) for water. Infuse it with lemon, orange, lime, or mint if it seems too “boring” to you. Get your greens in your diet! Aim for at least a few salads a week. Dressings make a world of difference in the tastiness department. 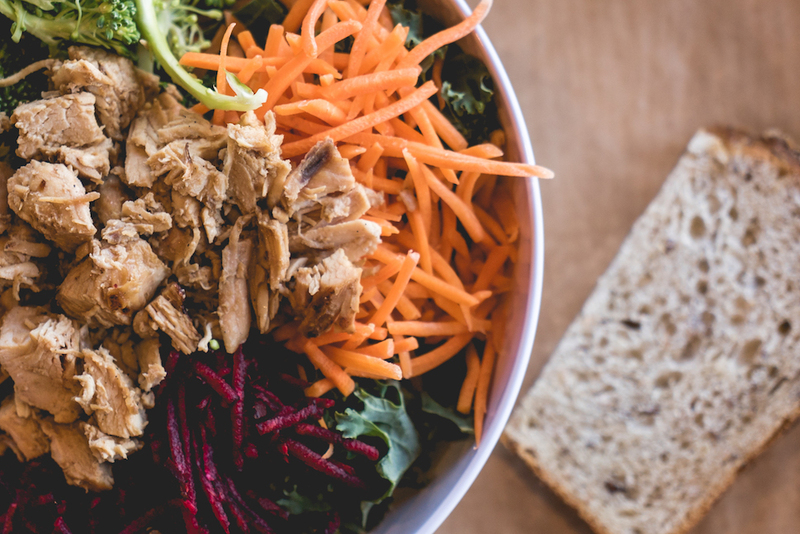 CoreLife Eatery has many options. It’s such a great go-to especially when your life is busy. Try these tips out and let me know how they go in the comments section below. I am so thrilled to educate you through these blogs throughout the year. Until next time, keep your chin up and believe in yourself. Nutrition can transform you!